Resources on my journey of learning about Indigenous Communities across Canada and the world. These sites provide a good foundation and starting point for my research around Indigenous communities. As I read and research and gain a better understanding of the issues that Indigenous communities face, this will help me to drill down to a particular area that resonates with me. I live in the province of Alberta, so I think that it is important for me to start where I live and become aware of the resources that Alberta has for learning about its Indigenous communities. 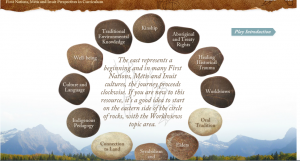 Walking Together is a First Nations, Métis and Inuit (FNMI) resource that guides educators, to understanding the FNMI perspectives and broadening worldviews around the issues the FNMI communities face. It lays out well the protocols around knowing how to build relationships with Indigenous communities. 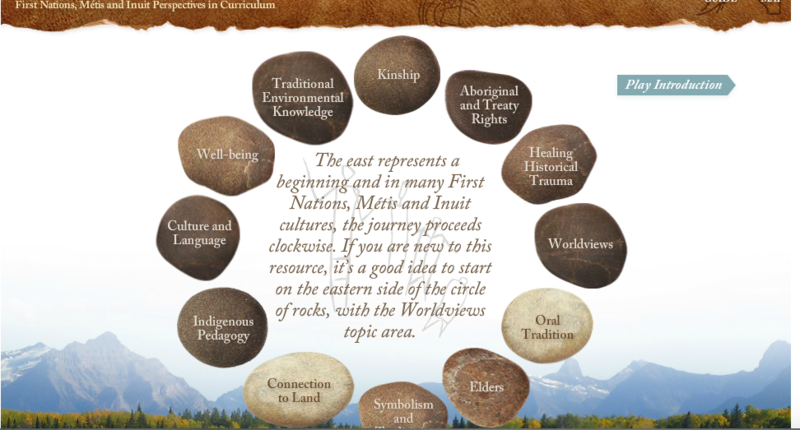 It offers a holistic way of navigating the journey of understanding the worldview of FNMI peoples. There are videos from Elders about Indigenous worldviews, oral traditions, and understanding a deep connection to the land. There are insightful conversations that present a clear practical guide to understanding how to access, approach and be respectful in utilizing FNMI resources. 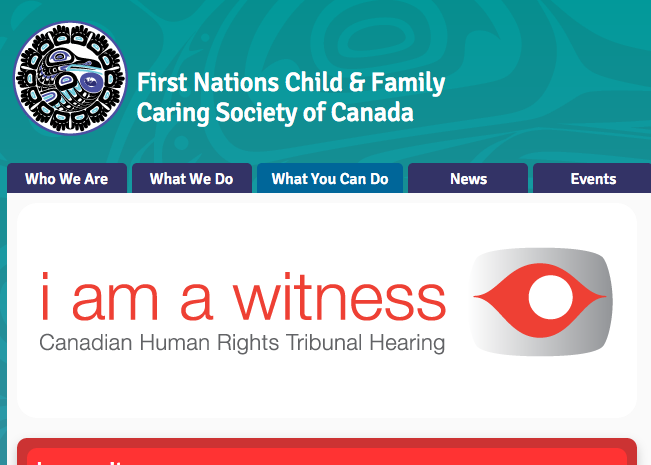 Another Alberta connection: Renowned First Nation activist Dr. Cindy Blackstock, a member of the Gitksan First Nation and Executive Director of First Nations Child and Family Caring Society of Canada and Associate Professor at the University of Alberta prepared this document in collaboration with UNICEF. The primary focus of the document is Indigenous adolescents; it speaks comprehensively to the rights of Indigenous peoples in 90 countries across the world. It advocates for their protection by governments all over the world. It offers adolescents in global Indigenous communities, a solid foundation for knowing and understanding their rights. The word bank and the quiz in this document are useful tools. It is interesting to see that the theme for the International Day of the World’s Indigenous Peoples on August 9 was : Indigenous Peoples’ Right to Education. 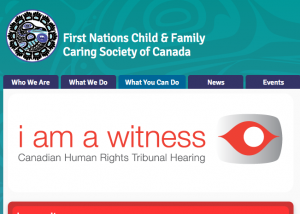 Dr. Cindy Blackstock is regarded as being the single mom of hundreds of First Nations children and this website features the tireless work that she does on behalf of Canada’s First Nations children. It details the work being done to reconcile the differences in the treatment of Canada’s Indigenous children versus non-indigenous children in the welfare system. Most importantly, however, the site gives practical actions that can be taken by every Canadian to bring about positive changes and make a difference in the lives of Canada’s Indigenous children. Find information about creating hope for Canada’s First Nation children and seven (7) ways to take action to restore dignity to Indigenous children. These include joining the movement, Jordan’s Principle. Learn more about Dr. Blackstock in her interview on the National with Peter Mansbridge. She speaks about the work that needs to be done by Canadians to become fully cognizant of Canada’s invisible and ‘normalized racism’ in its treatment of its Indigenous families. She speaks about the racism of government’s fiscal policy, by the way in which money is allocated to Indigenous vs non-Indigenous children in the welfare system. Secret Path is a multimedia project by Gord Downie and Jeff Lemire. 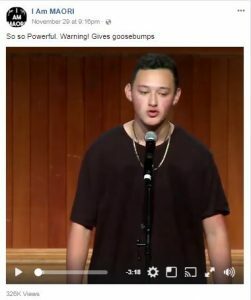 It is a song and a graphic novel about a young First Nations boy who died a half-century ago after running away from one of the residential schools. The money from the new album and book will be used to help the National Centre for Truth and Reconciliation identify some of the children who died at the schools and were buried in unmarked graves. It will also be used to commemorate their lives and, in some cases, return them to their home communities. 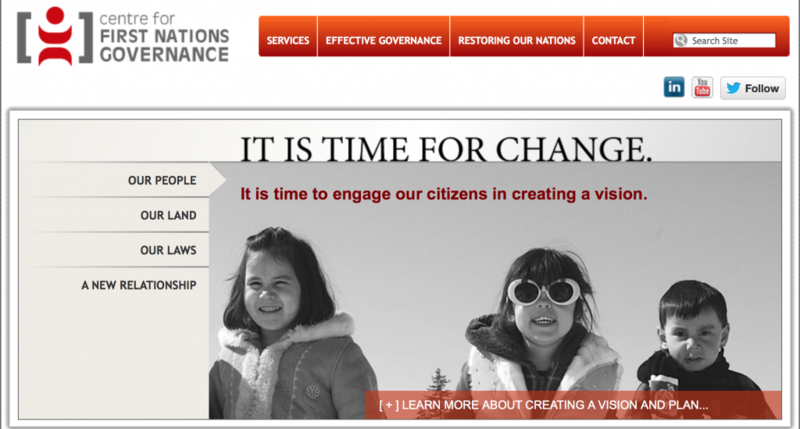 The Truth and Reconciliation Commission’s (TRC) web site documents Canada’s movement towards healing. It helps the nation to come to a deeper awareness of the effects of residential schools on Canada’s First Nation Population. It contains the TRC report of historical documentation of abuse that Indigenous children faced in residential schools. The true stories of residential school survivors bring life to the Commission. The site documents the call to action and changes that are being made to bring reconciliation and healing. One example of the changes that have come about as a result of the TRC is -schools in Toronto are now starting each day with a First Nations lesson. This is an excellent way for all students in Canada’s public school to show respect to the teachings of Canada’s First Nations People, and it is movement in the right direction in the restoration of their culture. Another site that I found very engaging was http://digitaldrum.ca/. This site opens the world of aboriginal music to the world and allows people to experience native music and share in its importance. 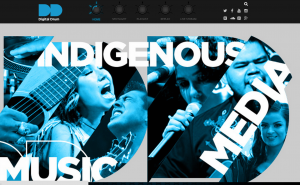 Music is one of the keystones of human culture and this site does a great job in presenting the unique and creative way that modern native artists are bringing their story to the world. Music is a powerful force but it needs to be heard. 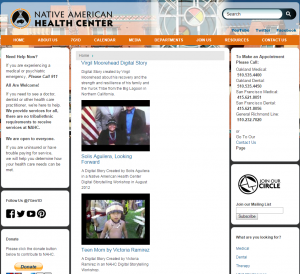 This amazing site ensures that native music has a strong presence on the web and hopefully exposes both natives and non-natives alike to the powerful messages that music carries.